‘Staggering richness of language; brutal, deep, haunting. Mesmerising from page one, which has the painter-grandfather formally dressed complete with billowing bow tie, sitting on a Belgian beach; later a descent into the hell of World War I. If you think you’ve had enough of the muddy gore of Flanders Fields, believe me you haven’t, not until you’ve read this book’. 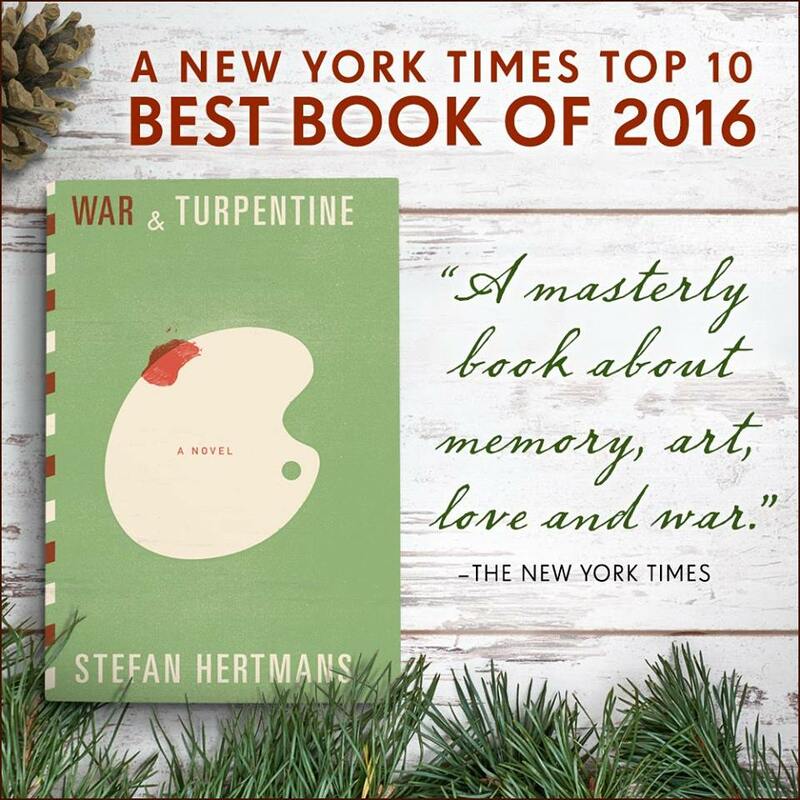 ‘War and Turpentine delivers a blast of narrative fresh air’ (Dominic Smith, New York Times). 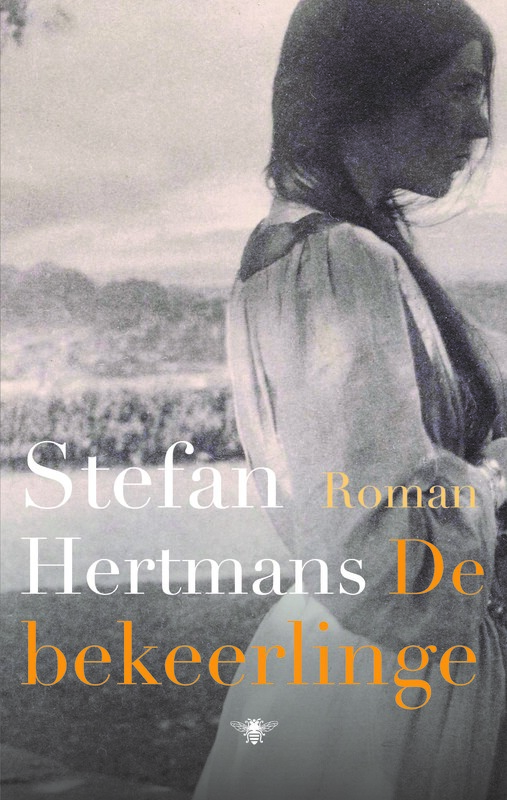 ‘De bekeerlinge’ is een cruciaal boek dat hoofden en harten zal beroeren. 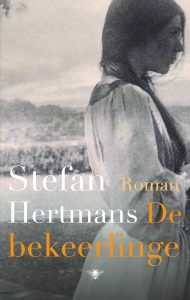 […] een roman vol zelfbeheersing die het grote schrijverschap van Stefan Hertmans zo typeert. Illustrated. 290 pp. Pantheon Books. $26.95. Not since reading W. G. Sebald’s “The Rings of Saturn” have I been so taken with a demonstration of the storytelling confluence of fiction and nonfiction. I say “confluence” because Stefan Hertmans, like Sebald, is interested in the places where narrative authority, invention and speculation flow together. 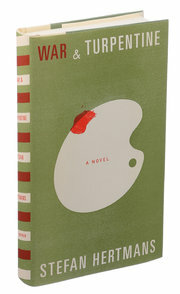 “War and Turpentine” affords the sensory pleasures of a good novel while also conveying the restlessness of memoir through its probing, uncertain narrator, who raids the family pantry in search of existential meaning. The result of this struggle is a masterly book about memory, art, love and war. 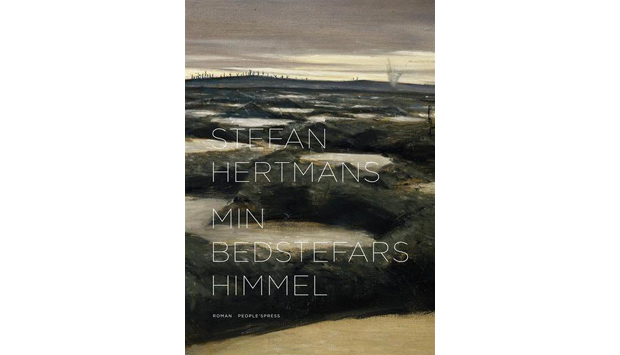 Hertmans is a Belgian novelist, poet and essayist who writes in Dutch, and in “War and Turpentine” he has found a way to meld the various strands of his professional prowess into a unified whole. ­David McKay, meanwhile, provides an artful translation of the book into English. Dividing his work into three parts, Hertmans floats through the first and third sections as an essayist and imagist, interpreting the notebooks and visiting the sites that shaped his grandfather’s development as a man and an artist. He grapples, conjectures, chronicles and evokes. But in the middle section, he sets this machinery aside and writes in an immersive, first-person voice, channeling his grandfather from the trenches of World War I. Where Hertmans’s narrative style is precise, speculative and philosophical, the manner he adopts for his grandfather’s voice is immediate, earnest and colloquial. To his credit, Hertmans never makes Urbain sound like a writer pretending to be a soldier. Seeing a man’s life unfold and hover from these different vantage points — across time, from within and from without — yields a tender, many-sided ­portrait. We encounter Urbain as the son of a church muralist, observing his father as he plies his painterly trade, working from his pearwood box of pigments, knives and brushes, and we feel the boy’s slow-­kindling desire to make art for himself. We watch Urbain go to work in a foundry in Ghent, then head off to military school before being conscripted in the early days of the German invasion of Belgium in the summer of 1914. Although “War and Turpentine” includes the publisher’s vouchsafe “This is a work of fiction,” we’re beguiled into a sense of its utter truthfulness. Whether that truth is documentary or dramatic (and carefully constructed) is a question this reader occasionally wrestled with, but mostly set aside. I experienced Hertmans’s book in the crosscurrents of rendered image, historical fact and narrative design, aware that some aspects of it were being curated and invented but feeling incapable of assessing the relative proportions. I was powerless to resist their combined spell. Images and diagrams don’t often work in fiction or memoir because they can seem forced and unenlightening, as if the author needed to deploy a set of visuals to make up for a lack of evocative writing. But here, as with Sebald, these pictures rush at the reader like spectral images of a lost world, a world that’s being constructed for us in the act of telling, as the narrator presides and conjures. I often had the sense of Hertmans pacing across a floor with a sheaf of family photographs in hand, laying out one at a time as he wrestled with his ancestral demons. One of the triumphs of “War and Turpentine” is that the style of delivery is perfectly suited to its central concerns — the flux of memory and the unspooling of a human life. The telling is mostly episodic and fragmentary, imbued with startling images and powerful associative leaps. Objects loom as they become talismans and ciphers. The tenses flow into one another, the distant past into the pounding present, the declarations of known history with the floating inscrutability of human emotions. Why did that headstone end up in a crawl space under the family home? What is that expression on Urbain’s face as he stares beyond the lens of the camera in a particular photograph? The proposed answers, as well as the elegant way we arrive at them, are at the heart of what keeps us reading. At one point, Hertmans writes, “Places are not just space, they are also time.” The same is true of novels. In the course of reading them, time uncoils and folds back on itself, revealing patterns and motifs when we look at them in a certain light. It’s this confluence of forces that moves the reader forward. In a world of novels with overdetermined, linear plotlines — their chapters like so many boxcars on a freight train — “War and Turpentine” delivers a blast of narrative fresh air. Some soldiers return home and are unable or unwilling to talk about their wartime experience. Others speak about little else. In the Flemish writer Stefan Hertmans’s potent new book, “War and Turpentine,” we meet a World War I veteran of the garrulous variety. This man is the author’s grandfather, Urbain Martien, a forgotten war hero who told his battle stories so often that his children and grandchildren plugged their ears. 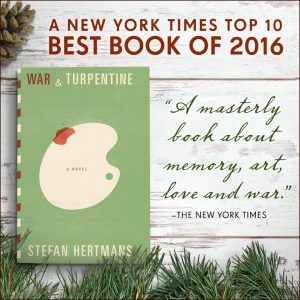 “War and Turpentine” is billed as a novel, but that’s hardly the word for it. It’s an uncanny work of historical reconstruction. Late in his life, his family bored with him, Mr. Martien retired to a table. Writing in ballpoint with painful, gouty fingers, he began to pour his crystalline memories of the war and of his impoverished childhood in Belgium into two large notebooks, some 600 pages of manuscript. Mr. Hertmans read and reread these notebooks, and he retells his grandfather’s life in his own modern voice. 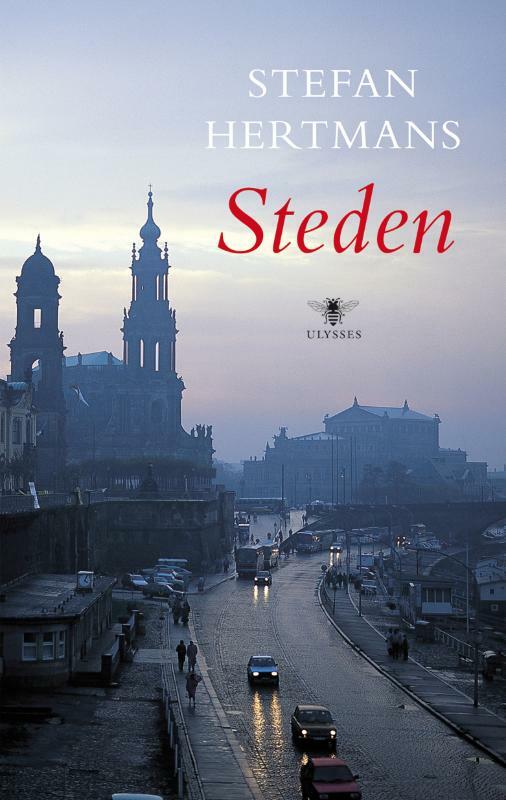 The result is a gritty yet melancholy account of war and memory and art that may remind some readers of the work of the German writer W. G. Sebald (1944-2001), who mined similar themes in books that were also literary hybrids. The author’s grandfather, born in 1891, died in 1981. “It was as if his life,” Mr. Hertmans writes, “were no more than two digits playing leapfrog.” Between those dates a world vanished, one that is reanimated here. This book’s centerpiece is a long section that relates Mr. Martien’s war experience in a first-person voice of his grandson’s own devising. It pivots quickly from innocence to experience, and it is harrowing. Rats; bleeding gums; mountains of feces; diarrhea; hypothermia; untreatable infections; mustard gas; pitiless deaths of all varieties. The details of trench warfare are again laid bare, but here with special vividness. Mr. Martien returned home a decorated hero. His war narrative is nearly enough to sustain “War and Turpentine.” But it isn’t the entirety of this story, which has windows that open in unexpected places. There is the account of Mr. Martien’s Dickensian childhood in the Belgian port city of Ghent. His father was a poorly paid painter of frescoes in churches, who died young, partly of lead poisoning from mixing his paints. His mother went to work making clothes for a mental institution. There was never enough money or food. This book includes, like the middle eight of a mournful song, a broken love story. After the war, Mr. Martien was engaged to Maria Emelia, the smart, vivacious, dark-haired beauty of his dreams. Before they could marry, she died of pneumonia during the Spanish influenza pandemic. “What must it be like, spending your whole life with your true love’s sister?” Mr. Hertmans asks. “Seeing flashes of the flamboyant Maria Emelia in the timid Gabrielle, a woman who spurned his embrace?” It was a torment. Drifting beneath every aspect of “War and Turpentine” is Mr. Hertmans’s interest in painting, one that was handed down to him. After the war, Mr. Martien attended night classes and, following in the footsteps of his father, became a painter, albeit an amateur. I don’t want to give away all of this book’s secrets. But as Mr. Hertmans delves more deeply into his grandfather’s paintings, he finds things in them he did not expect to find. Some of these discoveries are very moving. Mr. Hertmans is an academic who has also written novels, poetry and plays. “War and Turpentine” is his first novel to be published in English, in this fluid translation from the Dutch by David McKay. Urbain Martien was a man of another time. This serious and dignified book is old-fashioned, too, in the pleasant sense that it seems built to last. Urbain Martien was born in 1891 to a poor, working-class family in Ghent. His father, Franciscus, was a lowly painter of church murals and died of tuberculosis in his early 40s, but not before he had passed on a passion for painting to his son. 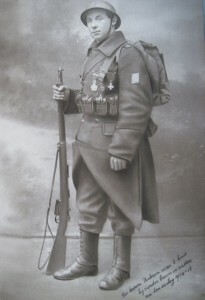 Urbain worked in an iron foundry as a boy before going to military school for four years; shortly after he graduated, the first world war arrived, sweeping away the old order of Europe like a giant hand. Urbain served on the frontline, miraculously surviving it. Not only was the world he returned to after the end of the war utterly transformed, but he was, too. Nearly 50 years after his experiences, in 1963, five years after the death of his wife, Gabrielle, he started to write about them. His recollections filled up more than 600 pages in three notebooks, which he bequeathed to his grandson Stefan Hertmans, one of the great living Flemish poets. Urbain died in 1981 and Hertmans didn’t look at the notebooks until nearly 30 years later, when the imminent centenary of the first world war brought back memories of his grandfather’s stories, told innumerable times to anyone who would care to listen. 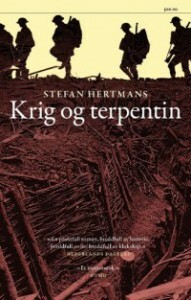 War and Turpentine is the astonishing result of Hertmans’ reckoning with his grandfather’s diaries. It is a book that lies at the crossroads of novel, biography, autobiography and history, with inset essays, meditations, pictures. It seems to be aching to be called “Sebaldian”, and earns the epithet glowingly. 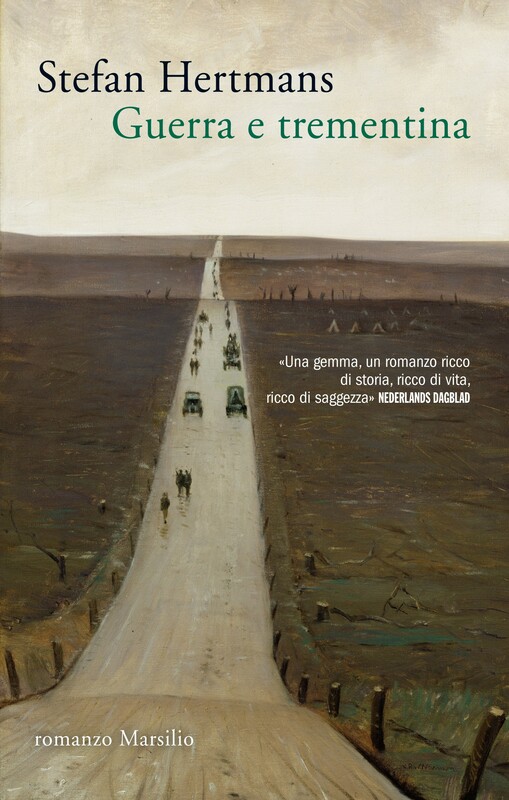 The book is divided into three unequal sections, the longest one comprising Urbain’s experiences in the war, but we are led up to it through the first part, a masterly evocation of the life of the European provincial poor, a world now lost to us irrevocably. Hertmans himself is a character, or voice, in this section, telling us about his memories of Urbain, of tussling with the notebooks and how to confront “the painful truth behind any literary work: I first had to recover from the authentic story, to let it go, before I could rediscover it in my own way”. He visits the places of his grandfather’s childhood years and intensely imagines life as it must have been for Urbain a century ago. There are beautiful pages on Urbain’s father going about his craft, watched by his son; a stomach-churning section on Urbain’s visit to a gelatine factory; a Dickensian account of the dangerous work in the iron foundry. These set pieces shed the light necessary to illuminate a lost world. Through it all, Hertmans muses on the commute between the present and the past. In section two, the heart of the book, Hertmans removes himself. The narrator is now Urbain, and we get an unflinching first-hand report of the war years from the frontline. Narratives of the first world war are not exactly thin on the ground, but even with such bristling competition it is undeniable that these 90 pages are some of the most distilled expression of unremitting horror. Urbain is wounded grievously three times but even in the hell of death, disease, mud, diarrhoea and ever-present danger, he observes nature with exquisite precision: “The earth warms up; after the chilly morning hours, vapour rises from the miry fields, which shine in the strange light. A blanket of lapwings ripples over the horizon … ” Five lines later, he is talking about the pervasive presence of rats: “Sometimes we roast them, but their flesh is vile, muddy and gooey. A commander roars that we’ll catch the plague.” In David McKay’s lyrical translation, every detail has the heightened luminosity of poetry, from the first sight of a Zeppelin (“this dream-fish drifting silently over our heads”) to a dead horse hanging from a broken elm (“perfectly straight, its bloody, half-severed head gruesomely twisted against the cool morning sky, its legs tangled in the remains of the tree like strange branches”). 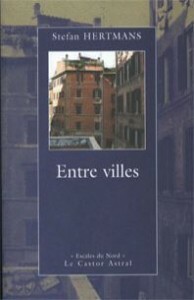 In the final section, Hertmans reappears to narrate the six decades of Urbain’s postwar life. There is a sad secret at the heart of his loveless marriage to Gabrielle that it wouldn’t do to give away; it provides much of the pathos in this heartbreaking section. The only consolation left to Urbain in the long tail of his life appears to have been painting, and Hertmans writes about this with both passion and delicacy. The book has such convincing density of detail, with the quiddities of a particular life so truthfully rendered, that I was reminded of a phrase from Middlemarch: “an idea wrought back to the directness of sense, like the solidity of objects”. Hertmans’ achievement is exactly that. Urbain considered himself and his life ordinary. More than 20 years after his death, he has been given a kind of immortality by his grandson, an extraordinary afterlife that he never could have imagined. War and Turpentine has all the markings of a future classic. • Neel Mukherjee’s The Lives of Others is published by Vintage. 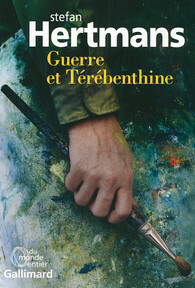 To order War and Turpentine for £13.93 (RRP £16.99) go to bookshop.theguardian.com or call 0330 333 6846. Free UK p&p over £15, online orders only. 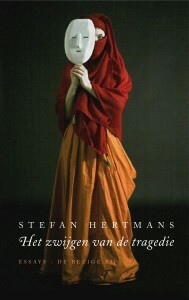 Stefan Hertmans is a Flemish Belgian writer, author of a vast literary and essayist oeuvre, which has won numerous prizes. His last novel, War and Turpentine, is an internationally-acclaimed bestseller. His essays are mostly concerned with the place of arts in today’s democratic society. 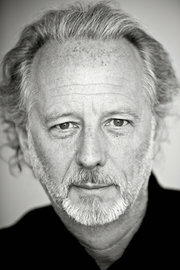 Previously he was professor of art criticism, agogics and text analysis at University College Ghent. He has engaged intensely in the debates following the terrorist attacks in Brussels on 22 March and has recently written a short play ‘Antigone in Molenbeek’ which was performed at the Amsterdam Forum Re:creating Europe in June 2016. His concern for the arts as the most outstanding form to convey human rights in times of political and cultural crisis, and his strong personal engagement, triggered his invitation to the Fundamental Rights Forum in Vienna. I live near the town of Brussels – a place that has been called a hellhole by Donald Trump some time ago. A town that suffers from touristic fallback, with half of the hotels having unrented rooms and ever more of them having to shut down, because people are afraid to come to Belgium after the cruel terroristic attacks on Zaventem Airport and in the heart of the city. Even more: I live not far from Molenbeek, still more of a hellhole if you have to believe the international press, and a no go area for every reasonable human being. Still more: I have friends living there. My brother, an excellent jazz musician, sometimes makes recordings in a studio in the heart of Molenbeek. Young documentary makers, actors, dancers and artists prefer to go to live in or around Molenbeek. This of course seems to contrast in an almost absurd manner with the image the world has got from this area. Does this mean Molenbeek is a lovely suburb with flowering gardens and shining cars in front of the suburb villas? No, it does not. Molenbeek is a problem area because it has been neglected for too long time. But it means that normal life is possible there too, and that several demographic groups try to live together there. We all know that something weird is going on in postmodern politics. Unlike modernist politics, which were being led by strong political personalities representing a majority that had voted for them, postmodern politics are being held in a grip by radical minorities that dominate the media by spectacular deeds and gruesome statements. That means that postmodern politics aren’t centralizing any more – there is no real center from which thinking, debating and decision making can be produced. Postmodern politics are everywhere, are not structured according to hierarchy, are a sort of splitter bomb pervading the farthest away corner of our world and our thinking. This means that politics have become glocal – they are global, the have to do with geopolitical problems, but they are expressed in local areas, neatly chosen by people who want to destabilize our way of living. You know I am talking about ISIS, amongst others. And you know that this will bring me back to, exactly, Molenbeek. 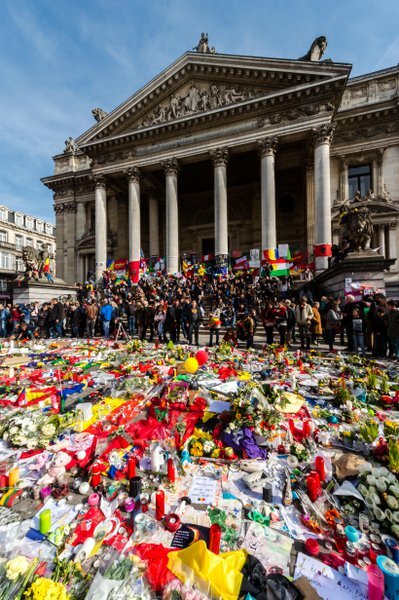 As you might have read in the media, Belgium has been called a failed state because of the terrorist network that has been able to develop, grow and activate in Molenbeek and other Brussels downtown areas. This is a bit of a biting frustration for people like me, who find themselves to be Belgian and living near the European Parliament, which is considered to represent us all. Nobody has said after 9/11 that the US was a failed state and that the cause of this had to be sought in the federal construction of America. But this was exactly the argument when Brussels had been attacked: it was because of this stupid quarreling of Flemings and Walloons, that the real problems had been neglected. It was because of the complexity of the country, that Molenbeek had become a hellhole. These critics forget that half of the terrorists in Molenbeek also had apartments in Saint-Denis, suburb of Paris. They forget that the problem with Maghreb immigrants is an international problem, which has been initiated by the Iraq War of 1991 , for which half of the world at that moment warned: it would ignite a whole continent, and my god it did. The US had practically no clue of the way leaders like Saddam Hussein and later Khadafy kept the thousand year old quarrel between Shi’ites and Sunnites under control. It is relevant to realize that this clash with the Arab speaking world took place less than two years after the fall of the Iron Curtain: geopolitically speaking, the post-Soviet area which many of the Arab countries belonged to, had to be reconquered by the west – that was the real crusade, and the true tragedy was that exactly this word, that could wake thousand year old demons from their terrible slumber. And so it did. And it ignited all of our cities and countries, because the global immigration made it, since then, impossible to speak of ‘them’ and ‘us’, because many people with origins in those areas came to live in our societies. This means that geographical pinning down and exclusion-politics (with words as ‘rogue states’) had become completely absurd and would cut deep in our own neighborhoods. And so they did. That means that the new threat did not come from somewhere outside, but from inside our societies. It was included, and could not be excluded. Now this is why, in an international city like Brussels, with more than 50 communities living in their own limited surroundings, with hardly one language dominating as lingua franca, often not able to understand or speak French or English, terrorists could stay beneath the radar. And of course I am ready to admit the guilt in the negligence of the Belgian police and politics. We were guilty of naivety – me included. I truly believed that the well-known Brussels relativism, – this “live and let the others live, this is democracy, all will end well” – that this was a huge miscalculation. Such as the absurd naivety of Belgian King Baldwin, sixty years ago, when he gave the Brussels Grand Mosque in a 99 year long lease to Saudi Arabia, thinking in the line of the euphoric and Orientalist romanticism of the great Brussels Expo of 1958, when we could still believe that the near east was primarily a dream tourist place. Just to say: when thinking about the local problems of Brussels and Molenbeek, I cannot evince thinking of global problems which led to this deadlock in which democracy seems to need to abolish itself in order to protect itself: police everywhere, control everywhere, soldiers in front of public buildings, shut downs, tracking cars on the highway, the right to steal my private email and telephone conversations. In this respect, terrorists have already succeeded immensely: they have stolen a good deal of the freedom from us all, the freedom my generation of baby boomers grew up with. I began this talk by saying that to me, Brussels is the city where I live. It is even the city I love. I adore the huge cultural richness, the fact that it is a brooding place for many new talents, a city where diversity is the reality of the day and where many people live together in a melting pot that only predicts the future for the entire population of Europe. And I do want to acknowledge that the too complex political structure of Belgium is one of the causes of the naivety and slackening of attention in Brussels for urgent demographic problems. But the simple fact is that we have to go on with our lives and that shut-downs, controlled areas and soldiers in the street are only a victory to ISIS. So exclusion politics won’t work. We will have to think about inclusion – one of the first simple things could be, that journalists everywhere in Europe stop putting Muslim communities in a spiritual ghetto. One Muslim inhabitant in Brussels being asked why he didn’t come down in the streets to protest against ISIS, answered: because we were busy. We were working in hospitals, in administration, in public transport, we were busy just like the other Belgians. So you will find us among the other Belgian protesters. That is an excellent answer. It reminds me of a typical Brussels joke that runs as follows. On a summer evening, after a few drinks too much, some drunken Flemish guys and Walloons start quarrelling in a bar. The quarrel rises, they go out in the street yelling and pulling and after a while someone slaps another in the face. A police car drives by, stops and asks them to stop the quarrel immediately. The officer shouts: Flemish to the right, Walloons to the left (you can see he had political vision). One man in a kaftan remains alone in the middle of the street. And you? yells the officer? What do you do there? I don’t know which side to go to Sir, he answers, I am Belgian, look, I got my passport today! Just to say: as long as we will think of “them” and “us”, the quarrel won’t stop. Inclusion means that we try to find out why young boys of the third generation of immigrants radicalise. We know some answers – Saudis imported Wahhabism since King Baldwin did this fine international gift of the Grand Mosque to them. We know too many of them remain unemployed. We know they have often run away from school to start small criminal traffic, selling drugs and cars, stealing and cheating their way in a world which seems not to open for them. And although I fully understand people who say: come on, let them stop saying they are victims, immigrating Italians, Polish, and Turks didn’t react this way, did they? I still have to consider this social exclusion as one of the main reasons for European terrorism of today. The blingbling of our cities remind them daily that this luxury is not meant for them. If we want to understand a bit of the mentality of radicalised youngsters, we should, all of us, watch a few days the Arab television networks and internet sites. What we call collateral damage in a just war, is to them a crime against innocent people. What we call a just war to dethrone or defend Sadat, however, is to them translated in images they watch all day on flat screens in the cafés: bombings, burning down houses, people screaming in terror, dead children, – all the terror they brought back to the heart of our societies with the label: return to sender. This is the real tragedy. It is international, it is global, it is local. It can happen tomorrow in your neighbourhood, and I promise you I won’t call your country a failed state, though I hope it will not happen again. But it will. We know it will. Therefore we need a lot of new political understanding, beginning with self-analysis of how we would feel if we were treated the way we treat a lot of “them”. What we need is a way to consider our Muslim populations as people ‘from us’, who belong to our way of living. European Islam is becoming stronger and more visible every day. It copes with many problems in some of the closed communities living in their own wronged and discontented bubble of revenge and frustration. It has to go a long way. But the fact that French Muslims defended a church on Christmas Eve against attacks is as well tragic as hopeful. It is hopeful that some Muslims do protest in our streets against ISIS. ISIS has not been able to foresee that they would, with their utter cruelties, speed up the emancipation of European Islam. But they do. But radicalisation seems to be faster than integration: it is easier to adhere to. The only way we can help this emancipation to be strengthened, is by stopping our talk about the Other in generalizing terms. Maybe, as Laurens Ten Cate has stated, the Other or stranger is exactly the one who will redefine our own relations; the Stranger might be the homo sacer Giorgio Agamben writes about – the ‘blessing in disguise’ that remains an enemy as long as we do not understand our own fear for the stranger. Integration means to turn something we experience as a disadvantage into an advantage for the Other and the Self. Much has been said about the wrongs of individualism that infected western societies after the student revolutions of May 68. But maybe, with a huge amount of individual contacts that we now only talk about and don’t practice, we can help a lot of people out there to start to feel belonging to a society that from every corner screams in technicolor dreams about freedom of consumption, wealth and elegance. This demands empathy from us, the willingness to listen to somebody you meet on the pavement and start talking with in a personal way. It means reading one of the many newly published books by Muslim intellectuals and writers. It just supposes that we come out and reach out to as many people we can. I think it was Kierkegaard who once wrote that your morals reach as far as we can walk on foot in one day. That is a perfect goal for all of us to start with. It means I will return to Brussels and walk the streets of Molenbeek. It does not mean that I will be able to talk with every individual, be he radicalised or not. It does not mean I will be welcomed by some hard-liners. There is a long way to go, and the path is winding and difficult. But it is the only way out of the deadlock we find ourselves into. We will have to learn to think globally and act locally, from person to person. I know: radicalisation is swift and integration is slow. Radicalism is a global network. Therefore it has no sense to shut down ourselves in white anxious states with iron fences: terrorists do not think in nineteenth century definitions of nation states. They think more international than most European politicians. That is why we lag behind. The future will reach us anyhow, and it is a global movement. Let’s go out in the streets, massively, and talk to them who we have to give the feeling that they belong. That is a true war against ISIS. It is based on western values we tend to suffocate ourselves out of anxiety: values like understanding, openness of spirit and mentality, generosity and emancipation. Deadly weapons to the radicalists. Our civilization itself – which we do not practice enough in dealing with those that came to us because they dreamed of a better life and went astray. De komst van Dyab Abou Jahjah naar uitgeverij De Bezige Bij heeft niet alleen verbazing gewekt, maar heeft ook onverwachte schokeffecten in de media en onder de auteurs veroorzaakt, die een bredere en diepere problematiek blootleggen. Abou Jahjah, die als jonge allochtoon in België een van de eersten was om het woord te nemen, en daarbij soms behoorlijk ferme standpunten innam, werd van bij aanvang op twee manieren gepercipieerd. De eerste manier was, hem te beschouwen als een gevaarlijke fundamentalist die de mond moest worden gesnoerd. Hij kreeg voor zijn aanwezigheid op een betoging na de moord op een man van Marokkaanse afkomst een proces aan z’n broek voor bendevorming (hij stichtte de Arabisch-Europese Liga), door niemand minder dan Guy Verhofstadt aangespannen. Dit proces is gevoerd, en Abou Jahjah is in hoger beroep vrijgesproken. De tweede manier was, om Abou Jahjah te zien als een bewijs van een op gang gekomen integratie en emancipatie: iemand die goed van de tongriem gesneden was, die nieuwe Belgen – want zij hebben een Belgisch paspoort en zijn burgers van een democratisch land – toonde hoe men een publiek debat kan voeren, ook al waren zijn standpunten voor heel wat mensen een paar bruggen te ver (ook voor mij soms). Zijn grootste voorbeeld is Malcolm X – precies, de zwarte leider waar een hele generatie linkse jongeren in Nederland en Vlaanderen achteraan is gelopen zonder enige vorm van proces. Zoals wij allen destijds met Malcolm X verkondigden: een strijd moet democratisch worden gevoerd, maar wanneer de onderdrukking zo brutaal is dat er geen andere weg is, dan moet dat met strijd. Het is zelfs de brave filosoof Ernst Bloch die dit letterlijk heeft geschreven, en het is ook het devies van de staat Israël, om maar iets te zeggen. Abou Jahjah heeft gesteld dat de inval in Irak en de moord op Saddam Houssein een politieke vergissing waren; de hedendaagse geopolitieke situatie geeft hem gelijk. Hij heeft in interviews gezegd dat hij geen heil ziet in geweld in Europa en tegen terrorisme is, maar dat hij in Libanon de oorlog van dichtbij als onrechtvaardigheid heeft meegemaakt en daar wil vechten voor zijn land wanneer het aangevallen wordt. Wat is daar zo schokkend aan? Heel veel denkers geven hem daarin trouwens gelijk. Hij heeft geleefd onder de bommen van Israël en heeft familieleden verloren; hij heeft het democratisch recht dit aan te kaarten en zijn kant van het verhaal te vertellen. Abou Jahjah is een jaar teruggekeerd naar Libanon, en teruggekomen naar Antwerpen. Hij vond dat zijn taak hier lag, waar hij zag dat hele generaties allochtone jongeren werkloos en doelloos opgroeiden, radicaliseerden, de verkeerde kant opgingen. Dat maakte Abou Jahjah kwaad en verontwaardigd: hij vond dat het probleem van de integratie daardoor in haar geheel op de helling kwam te staan, iets wat de samenleving hypothekeert. Door zijn standpunten te blijven verdedigen en daarin steeds genuanceerder te worden, is Abou Jahjah uiteindelijk een volwaardige stem in het Belgische debat geworden. Hij ijvert voor de rechten van de Palestijnen en een rechtvaardiger Midden-Oosten politiek, zoals veel linkse Europeanen dat doen. Tegelijk schreef hij onlangs dat hij uiteindelijk dichter bij de vermoorde Theo Van Gogh staat dan bij eender welke terrorist. Dat is duidelijk genoeg en zou iedereen in Nederland, die de situatie niet heeft gevolgd, moeten geruststellen. Hij schrijft columns voor De Standaard, geeft lezingen, spreekt over de geopolitieke spanningen en hun invloed op de Europese islam. In principe behoort hij tot diegenen, die juist van onmisbaar belang zijn bij het ontwikkelen van die gematigde, geïntegreerde islam in Europa. Het opmerkelijke is, dat veel Belgische en Nederlandse stemmen inmiddels dezelfde opvatting hebben. Dat ook intellectuelen van bij ons, neem Lieven De Cauter, onlangs nog uitgebreid geïnterviewd voor Vrij Nederland, reeds hebben verkondigd dat ook zij geschokt zijn door het genadeloze joodse kolonialisme in de bezette gebieden. Dat dit elk vredesproces hypothekeert. De halve wereld denkt er inmiddels zo over. Er zijn talloze stemmen van mensen die geen zweem van antisemitisme vertonen, die zeer bezorgd zijn over de vaak schreeuwende onrechtvaardigheid van de Israëlische politiek en de volkomen overdreven wraakacties. Zelfs linkse joodse schrijvers en internationale publicisten zijn deze mening toegedaan. Dat zijn allemaal thema’s die Abou Jahjah ook bespeelt. En hij wil dat wel degelijk op democratische manier doen. Hij heeft verklaard dat hij zijn strijd volgens de wetten van het land wil voeren. ‘Als ik in Nederland woonde, stemde ik GroenLinks’, heeft hij ooit gezegd. Maar of hij nu geïntegreerd is of niet, of hij nu probeert uit te leggen of niet wat zijn standpunt is, voor sommige mensen is hij absoluut de boosdoener want ooit liep hij in betogingen waar hij werd aangehouden voor het scanderen van extremistische leuzen. Punt. Zoals hoger gezegd: daarin is hij later door het gerecht vrijgesproken. Daar blijft dan, na aftrek van de argumentaties die Abou Jahjah tegenwoordig in de media ontwikkelt, maar één argument voor over: zijn culturele identiteit. Hem op basis daarvan de mond willen snoeren nog voor hij een boek heeft gepubliceerd, komt neer op politieke en culturele discriminatie. Ieder van ons moet wakker liggen van de mislukte integratie, van de problematiek van gefrustreerde derde generaties, van werkloosheid en de daarbij horende radicalisering. Het gaat om het behoud van een open democratie, waarin men vertrouwen moet investeren in kritische tegenstemmen. Democratie is precies het willen aanhoren van de stem van de ander. Binnen enkele decennia zal blijken dat dit investeren van vertrouwen de enige weg is om radicalisering te stoppen. Niet door mensen a priori uit te sluiten, want dan stimuleer je de radicalisering. De enige weg is integratie via woord en wederwoord, door het respecteren van kritische stemmen. Met de komst van Abou Jahjah mag De Bezige Bij dan al een verrassende ‘move’ hebben gemaakt, ik ben ervan overtuigd dat we hier later op zullen terugkijken met het gevoel dat het in een hedendaagse democratie niet anders kan dan dat je stemmen aan het woord laat die ook dingen zeggen die ons niet meteen welgevallig zijn. De Bezige Bij heeft een traditie hoog te houden wat betreft het vrijwaren van het vrije woord. Dat moet vandaag de dag binnen een geactualiseerd denkkader. De geschiedenis heeft geleerd dat je door uitsluiting slechts de demonen wakker roept, waarvoor je bevreesd was. En net die demonen moet Abou Jajah ons helpen bezweren. Kijk, als er mensen zijn die allochtone bevolkingsgroepen mogen schofferen met eender welke karikatuur omwille van de heilige vrije meningsuiting, dan mogen die bevolkingsgroepen op zijn minst laten horen hoe het er van hun kant uit ziet, zonder dat we hen van fundamentalisme beschuldigen. Ook zij hebben recht op vrije meningsuiting. Anders is het debat niet fair. Zoals niet alle joden zionisten zijn, zijn niet alle moslims salafisten. Vooral niet, wanneer we hun een rechtmatige stem in het debat over een democratische, Europese islam geven. En laten we nu rustig wachten tot we het nieuwe boek van Abou Jahjah gelezen hebben. Elk van ons kan dan reageren in de media met brieven, columns, stukken of heelder boeken – eens Abou Jahja ons zijn argumenten heeft aangereikt. Laten we dat beschaafd en genuanceerd doen. Niet met het soort hysterische kreten die bij het bekend worden van Abou Jahjah’s contract werden uitgekotst. Leve het publieke debat. 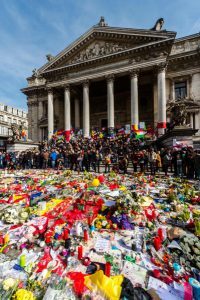 Het is een beetje bevreemdend vast te moeten stellen hoeveel internationale solidariteit België plots kreeg toen het door een tragedie getroffen werd zoals we die dinsdagochtend 22 maart 2016 in Brussel meemaakten, terwijl dat land tot een dag tevoren de schuld van zowat alles leek te dragen en alleen maar een hellhole, een failed state of een sick joke leek voor de galspuwers overal. Brave little Belgium was even terug. Maar niet voor lang: na enkele dagen rolden de meest middelmatige politieke talenten alweer kibbelend over de mediastraat. En toch. Van alles waarvan men België, zijn leiders, zijn regering en noem maar op beschuldigd heeft, van heel die retoriek van een failed state blijft weinig over wanneer men vaststelt op welke cynische manier internationaal terrorisme overal ter wereld elk democratisch debat vermoordt, verschroeit, onzinnig maakt. We hebben ons eigen proces tot in den treure gemaakt en ons mea culpa over de mislukte integratie als een mantra herhaald. En we schieten nog steeds te kort, ja. We zijn nonchalant geweest, we hebben te gemakkelijk in zelfregulering geloofd. Maar we hebben inmiddels ook creatieve jonge mensen die in Molenbeek het lichtend voorbeeld geven van hoe samenleven boven moeilijke cultuurverschillen eruit zou kunnen zien. Er is in sommige kringen veel idealisme en een sterke wil om de verschillen te overstijgen. Uitgerekend in Brussel. Er is heus veel positieve energie in dit land – dat bleek zondag nog op de Grote Parade, een bonte stoet van idealisten die pleiten voor een grondig verschillende aanpak op alle gebied. Maar het soort mensen dat in staat is tot de gruwel van dinsdag 22 maart neemt niet deel aan dit proces van zelfkritiek en probleemoplossend denken. Dat is de ware clash: die tussen open en gesloten geesten. Een oeroude clash. Het laat sommigen onder ons sprakeloos, anderen doen het zie-je-wel-gezelschapsspel, maar dat is allemaal bijzaak. De tragedie is dat we dit soort zaken niet kunnen voorkomen zolang de haat daarbuiten gevoed wordt door macho politiek, gruwelijke internationale conflicten, luchtbombardementen, volksverhuizingen, grensconflicten, godsdienstwaanzinnigen en een planetair verhoogde dosis foute adrenaline. Zolang wij in een dergelijke conflictueuze wereld deze kwetsbare samenleving willen koesteren. In naam van de pijn die al die kwetsbare gewonden vandaag voelen, moeten we met het hoofd rechtop beseffen dat onze typische kwetsbaarheid ook onze morele waardigheid bevat: die van een complexe, open samenleving. Dat respect en die solidariteit terugkrijgen van de internationale wereld, was even een kleine troost in deze dagen. Maar Brussel blijft perplex achter – de stad die zichzelf steevast definieert als ironisch, als non-conformistisch, de stad die zijn culturele diversiteit als een vaandel heeft gedragen en daar nu de gruwelijke rekening voor betaalt. Ergens dook meteen een hand op Facebook op, gemaakt van pommes-frites, met een dikke middelvingerfriet in de lucht. Het is mooi dat mensen proberen de typische Belgitude, de zelfrelativering en de humor te bewaren, maar de afgelopen week lachten zelfs de grappenmakers groen. Ik stuurde mijn zoon, die in Brussel studeert, die dinsdagochtend een sms: neem niet de metro. Even later zagen we de nachtmerrie die zich daar had voltrokken. Wanneer de gruwel zo dichtbij komt, weten we dat ons aller leven erbij betrokken kan raken. Dit land moet verder, deze merkwaardige, unieke en gewonde stad moet verder. Hoe dan ook. Het merkwaardige effect van dit alles is vooralsnog een hernieuwd besef van de nood aan samen denken, niet in opposities. Zowel de Belgische Moslimexecutieve, het platform voor Vlaamse imams, auteurs als Fikry el Azzouzi, Dyab Abou Jahjah, imams als Imam Benhaddou en talloze anderen hebben hun afgrijzen geuit voor de aanslagen en hun volstrekte afkeer van het terrorisme van IS. Zij hebben daarbij benadrukt dat het vooral in Brussel geen enkele zin heeft in gescheiden gelederen te denken (in de trant van : “waar blijven de moslims?” – uiteraard is de meerderheid van de moslims tegen terreur. Zoals Abou Jahjah het zei: we vragen de christenen toch ook niet om afstand te nemen van Andres Breivik omdat we ervan uitgaan dat ze dit niet steunen?). Toch blijven hier en daar stemmen opgaan die op hoge toon eisen dat de moslims op de knieën gaan en publiekelijk door het stof kruipen. Maar voor hun ziet het er anders uit: het is alsof men hun identiteit telkens weer in een getto wil stoppen. Ziedaar een goed recept voor telkens hernieuwde radicalisering: zeg dat je hun niet gehoord hebt wanneer ze beweren bij ons te willen horen. Peter Sloterdijk liet recentelijk optekenen dat hij niet meer in het beleid van Merkel gelooft en dat we terug moeten naar een denken in staten en vaderlanden. Dat lijkt me de dood in de pot. Orban en de Hongaren, Wilders wil Nederland uit de EU en meteen ook maar zijn gulden terug, UKIP eist briesend een brexit omdat democratie te ingewikkeld is voor egocentrisme. Die regressieve nostalgie is op zich al een levensgevaarlijke ideologie: het is niet in aparte afgesloten bange blanke staten dat we de zaken gaan oplossen. De terroristen bewijzen elke dag dat ze niet in grenzen en staten denken, maar in vloeibare mondiale verbanden en razend snel inzetbare netwerken over alle landsgrenzen heen, en ons daarom net altijd een stap voor blijven. Wij echter blijven in grenzen en zuivere identiteiten denken en hopen zo deze vloeiende, ongrijpbare bewegingen in te dammen. Dat is jammerlijk naïef en zelfs achterhaald. Het is al herhaaldelijk gezegd en telkens weer in de kakofonie ten onder gegaan: de beelden die radicaliserende jongeren de hele dag op hun smartphones en op flatscreens thuis bekijken zijn Arabische televisiebeelden van, precies, uiteengereten kinderen, instortende huizen, jammerende gewonden, vernietigende drones, eeuwige collateral damage, brand, gruwel, bloed, stof, herrie, afgerukte ledematen – precies dat alles waarop door dat geweld bezeten geraakte karakters ons dan in onze hoofdsteden trakteren uit blinde wraak. Beelden die de westerse media per definitie grotendeels censureren omdat ze niet passen in ons gevoel van onschuld. Wanneer je hieraan herinnert, staan er meteen tientallen mensen te schreeuwen dat je terroristen wilt vergoelijken. Terwijl het gaat om inzicht in de manier waarop deze gruwel tot bij ons is geraakt: het nu al decennia actieve bompakket kreeg de mededeling RETURN TO SENDER. De oplossing ligt in veel actievere integratie. Het probleem is echter dat radicalisering ondergronds en razendsnel werkt en integratie bovengronds en traag. Er zijn in de Belgische samenleving steeds meer Maghrebijnse en Arabische stemmen die vat proberen te krijgen op de losgeslagen jongeren die in de ban raken van de marsorders uit het kalifaat. Ook zij weten dat laaggeschoolde jeugd zonder kansen op de arbeidsmarkt een tijdbom vormt. Altijd en overal. De gewelddadige ideologie is dan slechts het handvat waaraan men zich optrekt om ergens heldhaftig bij te horen, zich een identiteit aan te meten. En zich al even furieus af te keren van een samenleving die hen onophoudelijk inpepert dat ze met z’n allen a priori minderwaardig of erger nog, medeschuldig zijn. Dat is self fulfilling prophecy. Het is net onze taak om de gematigde moslims te helpen met het losweken van hun geloof uit de geopolitieke hel waarin we zijn beland. Velen van hen zijn zelf vragende partij, en ik wil geloven dat ze met steeds meer zijn. Tegelijk signaleert de Gentse imam Imam Benhaddou hoe moeilijk het is om in bepaalde radicaliserende middens door te dringen. Voeg daarbij een grote vorm van onmondigheid tegenover onze media en onze discussieregels, en je beseft dat er ontzettend veel dringend werk aan de winkel is. Het punt is dat we gewoon niet terug kunnen naar het verleden. De geopolitieke blunder die met de invasie in Irak door de US is begaan – vergezeld van de idiote oproep van Bush om als kruisvaarders daarheen te trekken – heeft een kettingexplosie in gang gezet, die in feite begonnen is net na de val van de Sovjet-Unie: plots viel de hele, vagelijk aan de Sovjets gelinkte Arabische regio open. Saddam Houssein, Khaddaffi, Sadat: het waren eerst goeie vriendjes, nu moesten ze weg om de restanten van de Koude Oorlog even op te ruimen. Met een op het slagveld teruggekeerde Poetin als eerste, en het doemwoord ‘kruisvaarders’ in IS communiqués die juichen om uit elkaar gereten kinderen en vrouwen als tweede effect. Wat een gruwelijk naïeve inschatting is dit alles geweest; de Amerikanen hadden geen benul van de eeuwenoude spanningen tussen soennieten en sjieten, van geopolitieke dialectiek, van de frustrerende impact van hun zelfingenomen Globocop spelen op andere culturen. Ze hebben, zoals de Fransen dat toen zo mooi zegden ‘le pied dans le plat’ gezet. En de hele Arabische wereld maakte de historische link met duizend jaar geleden, in ongeloof starend naar de massagraven in de woestijn. Toen moesten de op korans pissende militairen uit Guantanamo nog komen, en de Europese alliantie bij het platbombarderen van regio’s waar men zich geen boots on the ground kan permitteren. Die kanker, dit gevoel fundamenteel onrecht te zijn aangedaan door een cynische geopolitiek, woekert diep in de imaginaire wereld van radicaliserende jongeren. Dàt is hun verhaal. En de ware reden waarom het nonchalante Brussel bloedt zoals zovele steden ervoor. Met de versnelde mondialisering als kruiwagen voor revanchisme, zitten we nu midden in een situatie die we alleen kunnen oplossen door veel, veel verdergaande integratie. We moeten vooruit, er is geen andere keuze. Heel wat families met een Maghreb achtergrond die hier al voor de derde generatie leven en gewoon een Belgisch paspoort hebben – en ze zijn met talloos velen – werken hier elke dag, nemen ook de metro, nemen deel aan onze cultuur in toenemende mate. Wij moeten naar hen luisteren, om ook de criminaliserende achterhoede uiteindelijk te bereiken. Dat kunnen we alleen met de hulp van deze geïntegreerde moslimstemmen. Die we niet langer als moslim moeten aanspreken, maar als mensen van bij ons. Dat is de eerste stap. De roman “Oorlog en terpentijn” van Stefan Hertmans heeft de literaire jongerenprijs De Inktaap 2016 in de wacht gesleept. “Het boek is zoveel meer dan een oorlogsverhaal. Het vertelt een sociale geschiedenis, een tijdsgeest en het gaat over kunst en ja, ook over oorlog”, motiveert een van de 1.400 jongeren die deelnamen aan de verkiezing. De Inktaap 2016 is in Rotterdam uitgereikt aan de Belgische schrijver Stefan Hertmans. Voor de literaire jongerenprijs lezen scholieren van 15 tot 18 jaar uit het Nederlandse taalgebied jaarlijks vier boeken. De genomineerde boeken zijn de laureaten van de belangrijkste literatuurprijzen uit de Nederlandse taalgebied (de Gouden Boekenuil, nu Fintro Literatuurprijs, de AKO Literatuurprijs, nu ECI Literatuurprijs en de Libris Literatuur Prijs) en een Caribische nominatie. “Orgelman” van Mark Schaevers (Gouden Boekenuil 2015), “Vervoering” van Shatie Singh (Caribische nominatie), “Oorlog en terpentijn” van Stefan Hertmans (AKO Literatuurprijs) en “Ik kom terug” van Adriaan van Dis (Libris Literatuur Prijs) waren de genomineerden. Ruim 1.400 scholieren uit Nederland, Vlaanderen, Suriname, Curaçao en Aruba hebben “Oorlog en terpentijn” met stip op de eerste plaats gezet. Stefan Hermans volgt met zijn overwinning “La superba” van Ilja Leonard Pfeijffer op als laureaat van De Inktaap. De jongeren waren onder de indruk van het boek van Hertmans. 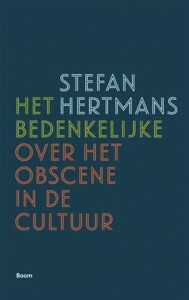 “Stefan Hertmans schrijft met zijn poëtische taal een pakkend verhaal” en “Het boek is zoveel meer dan een oorlogsverhaal. Het vertelt een sociale geschiedenis, een tijdsgeest en het gaat over kunst en ja, ook over oorlog”, waren twee reacties. In “Oorlog en terpentijn” schetst Stefan Hertmans het verhaal van zijn grootvader die als 23-jarige militair in de Eerste Wereldoorlog terechtkomt. Tijdens de Poëzieweek 2016 kreeg je het Poëziegeschenk cadeau van deelnemende boekhandels in Vlaanderen en Nederland bij besteding van ten minste € 12,50 aan poëzie. 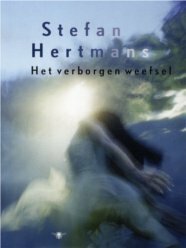 Het Poëziegeschenk werd in 2016 geschreven door de Vlaamse auteur Stefan Hertmans (Gent, 1951) en is getiteld Neem en lees. In Neem en lees neemt Hertmans de lezer mee langs allerlei vormen van herinnering. Zich iets herinneren is voor Hertmans niet alleen privé, het heeft ook te maken met de beelden waarvan een samenleving leeft: gebeurtenissen, kunstwerken, boeken. In deze gloedvolle gedichten wisselen intieme en maatschappelijke herinneringen elkaar dan ook af — van de eerste verliefde blik tot en met gedachten die aan bootvluchtelingen kunnen toebehoren. 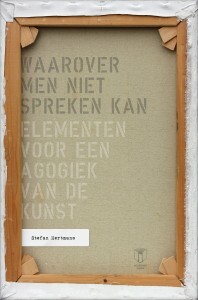 Stefan Hertmans (1951) publiceerde romans, verhalen, essays en gedichten. Tot Hertmans’ meest succesvolle prozaboeken behoren de romans Oorlog en terpentijn (2013; bekroond met de AKO Literatuurprijs 2014, Gouden Uil Publieksprijs, De Prijs van de Vlaamse Gemeenschap voor Proza; nominaties Libris Literatuurprijs en Premio Strega Europea) en Naar Merelbeke (1994, nominatie Libris Literatuur Prijs), de reisverhalenbundel Steden (1998, nominatie Generale Bankprijs), de verhalenbundel Gestolde wolken (1988, Multatuliprijs) en de roman in verhalen Als op de eerste dag (2001, F. Bordewijk-prijs). 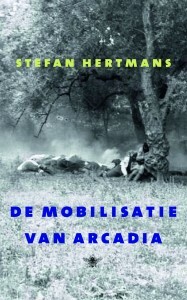 Zijn laatste essaybundel De Mobilisatie van Arcadia (2011) beleefde vele herdrukken. Hertmans pende ook een rijk poëzie-oeuvre bijeen. In 2006 verscheen zijn verzameld werk, Muziek voor de overtocht. 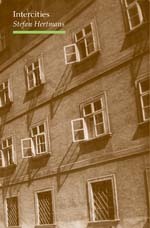 Gedichten 1975-2005 (2006). Vier jaar later verscheen de dichtbundel De val van vrije dagen. Verschillende van zijn bundels werden genomineerd voor de VSB-poëzieprijs. Met de bundel Muziek voor de overtocht ontving hij in 1995 de belangrijke Prijs van de Vlaamse Gemeenschap voor Poëzie. 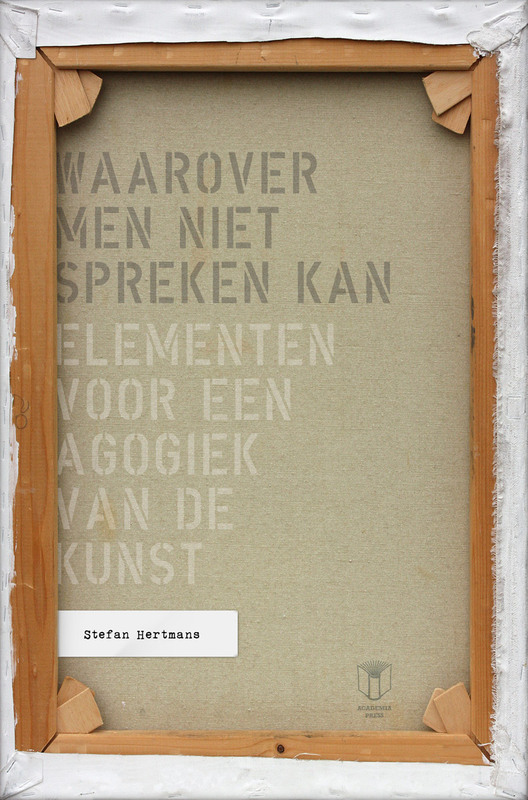 Een beeld van jou : Stefan Hertmans verzamelt zijn gedichten over de liefde in een mooie kleine bloemlezing. 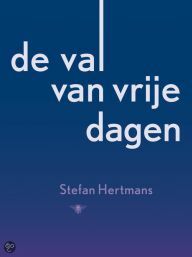 De gedichten van Stefan Hertmans zijn doordrongen van een vitale melancholie. Met de jaren is zijn werk intiemer geworden. Speciaal voor de Poëzieweek maakte Hertmans naast het Poëzieweekgeschenk een keuze uit zijn liefdesgedichten. Je vindt er ‘verwensingen’ en ‘bezoekingen’, maar ook talrijke erotische aanrakingen, warme kaneelvingers en koele oestervingers; er is sprake van verlangen en warmte, maar ook van eenzaamheid en afscheid. Er zijn ‘warme klauwen’ en scherven, maar ook hagedissen die neus aan neus slapen. Een heel leven van liefde en passie ligt er beeldend in vervat. Een beeld van jou is rijke, lyrische poëzie van een veelbekroond dichter. Guerra e trementina genomineerd voor de Premio Strega Europeo! 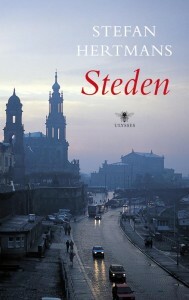 De Premio Strega Europeo is de Europese variant van de Premio Strega, de belangrijkste Italiaanse literatuurprijs. Om in aanmerking te komen moet een roman eerder een nationale literatuurprijs hebben gewonnen en vertaald zijn naar het Italiaans. 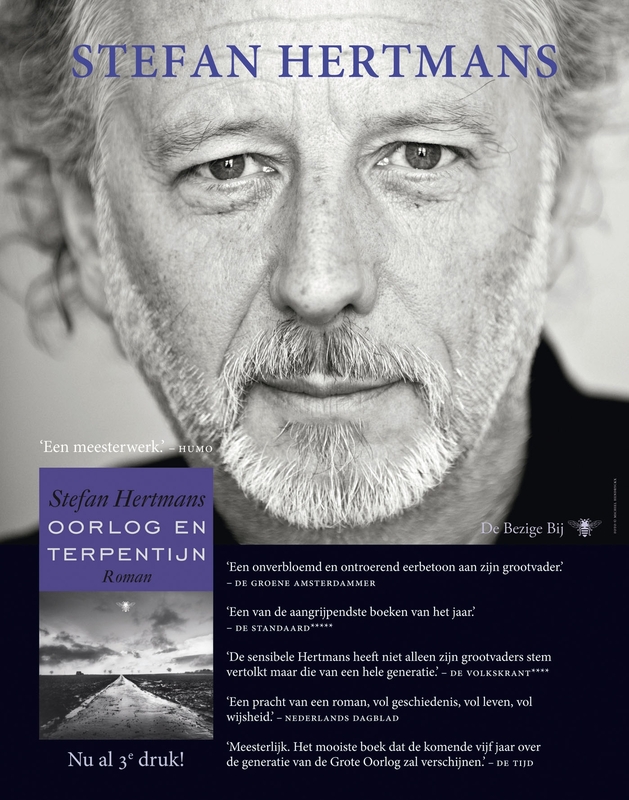 Stefan Hertmans won met Oorlog en Terpentijn (Guerra e trementina) de AKO literatuurprijs. De jury bestaat uit vierhonderd leden uit heel Europa, overwegend literatuurcritici. 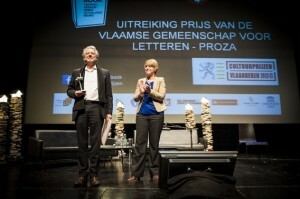 Op 30 juni wordt de winnaar bekendgemaakt tijdens het Letterature Festival Internazionale in Rome. Naast Wieringa en Hertmans zijn er nog drie auteurs genomineerd: Rafael Chirbes (Spanje), Alain Mabanckou (Franrkijk) en Katja Petrowskaja (Duitsland). In mei 2015 verscheen de volledig herziene en uitgebreide versie van het essay Het Bedenkelijke (eerste druk 1999) bij uitgeverij Boom, Amsterdam in een mooie nieuwe uitgave. 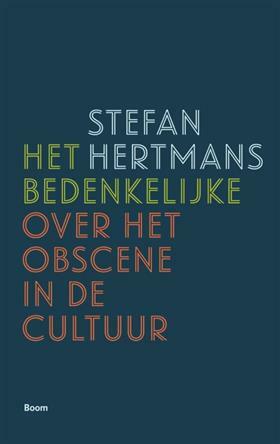 ‘ In Het Bedenkelijke onderzoekt Stefan Hertmans het obscene in de cultuur. Fenomenen als peepshows en excessief filmgeweld tonen ons iets fundamenteels over de menselijke geest, dat in versluierde vorm ook in religie en moralisme voorkomt. De schijnbare openheid die onze wereld domineert, heeft dan ook iets obsceens, omdat het wezenlijke ons eigenlijk ontsnapt. Volgens Hertmans vinden we in deze obsceniteit de grondstructuur van de menselijke geest. Dat wat ons te denken geeft, wat het denken in gang zet, is zelf bedenkelijk en maakt ons denken twijfelachtig’. een spannende roman over liefde in tijden van terrorisme en paranoia. Internationaal succes voor ‘Oorlog en terpentijn’ van Stefan Hertmans De roman Oorlog en terpentijn van Stefan Hertmans kan zich verheugen in grote internationale belangstelling. De vertaalrechten zijn inmiddels, na verhitte veilingen aansluitend op de Frankfurter Buchmesse, verkocht aan gerenommeerde uitgeverijen in Duitsland (Hanser Berlin), Frankrijk (Gallimard), Engeland (Harvill Secker), Australië/Nieuw-Zeeland (Text), US (Alfred Knopf New York), Marsilio Ed. in Venetië, Norstedt in Zweden, People’s Press in Denemarken, Pax in Noorwegen, en het lijkt erop dat de zegetocht van deze bijzondere roman daarmee niet ten einde is. De eerste buitenlandse editie verschijnt najaar 2014 bij Hanser Berlin Verlag in een vertaling van Ira Wilhelm. In Nederland en Vlaanderen zijn inmiddels 200.000 exemplaren van Oorlog en Terpentijn verkocht. Vlak voor zijn dood in de jaren tachtig van de vorige eeuw gaf de grootvader van Stefan Hertmans zijn kleinzoon een paar volgeschreven oude cahiers. Door de verhalen uit zijn jeugd vermoedde Hertmans dat de inhoud wel eens onthutsend kon zijn. Jarenlang durfde hij de schriften niet te openen. Tot hij het wél deed, en onvermoede geheimen vond. Het leven van zijn grootvader bleek getekend door armoedige kinderjaren in het Gent van voor 1900, door gruwelijke ervaringen als frontsoldaat in de Eerste Wereldoorlog en door een jonggestorven grote liefde. Hij sublimeerde zijn verdriet in de stilte van de schilderkunst. In een poging dat leven te doorgronden schreef Hertmans zijn herinneringen aan zijn grootvader op. Hij citeert uit diens dagboeken en kijkt naar diens schilderijen,om uiteindelijk de ware toedracht te ontsluieren. Hertmans vertelt dit verhaal met een verbeeldingskracht waarover alleen grote schrijvers beschikken, en in een vorm die een onuitwisbare indruk op de lezer achterlaat. Oorlog en Terpentijn vormt een aangrijpende zoektocht naar een leven dat samenviel met de tragiek van een eeuw – en een postume, bijna mythische poging dat leven alsnog een stem te geven. ‘ “Krieg und Terpentin”: das ist die belgisch-zivilisierte Antwort auf Ernst Jüngers brutale Dialektik von Schönheit und Schrecken (…) Zarter, rührender ist eine Wiedererkennung, eine Überbrückung der Zeiten selten in Szene gesetzt worden’ (Gustav Seibt, Süddeutsche Zeitung, 16-10-2014). “Man kann alles, wenn man will!”, sagt der alte Mann zu seinem Enkel und schwingt sich in den Kopfstand. Die wahre Willenskraft seines Großvaters begreift Stefan Hertmans jedoch erst, als er dessen Notizbücher liest, und beschließt, den Roman dieses Lebens zu schreiben. Eindringlich beschwört er eine bitterarme Kindheit in Belgien, zeigt den 13-Jährigen, wie er bei der Arbeit in der Eisengießerei davon träumt, Maler zu werden, und stattdessen im Ersten Weltkrieg an die Front nach Westflandern gerät. Dass der Mann, der dieses Grauen überlebt, fast am Tod seiner großen Liebe zugrunde geht, ist eines der Geheimnisse, denen der Enkel auf die Spur kommt. Mit seiner Hommage an den Großvater ist Hertmans ein grandioser Roman gelungen. Like før sin død i 1980 ga Stefan Hertmans’ morfar ham noen gamle notatbøker. I flere år var Hertmans for redd til å åpne dem. Men da han til slutt gjorde det, avdekket han flere uventede hemmeligheter. Bestefarens liv hadde vært preget av den fattige oppveksten på begynnelsen av 1900-tallet, av de grusomme opplevelsene som soldat ved fronten under første verdenskrig, og av sin store kjærlighet som han mistet i ung alder. Resten av livet brukte han til å omforme sorgen og minnene til stillferdige malerier. I et forsøk på å forstå morfarens liv skrev Hertmans ned minnene han hadde om ham. Han siterer fra dagbøkene og studerer bildene. Hertmans forteller bestefarens historie med en unik forestillingskraft og nerve, og lar de personlige opplevelsene og storpolitiske hendelsene møtes på en usedvanlig sterk måte. Krig og terpentin er en sjelden førstehåndsberetning fra en frontsoldat i Den store krigen. 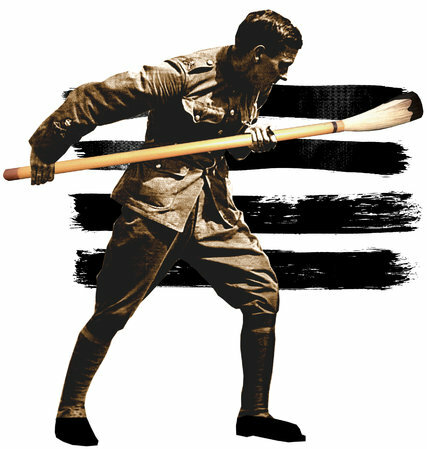 I partier minner den om Erich Maria Remarques Intet nytt fra Vestfronten i sine nøkterne og presise skildringer, men samtidig bygger den opp en ramme rundt det biografiske stoffet som setter den individuelle erfaringen i en større sammenheng. 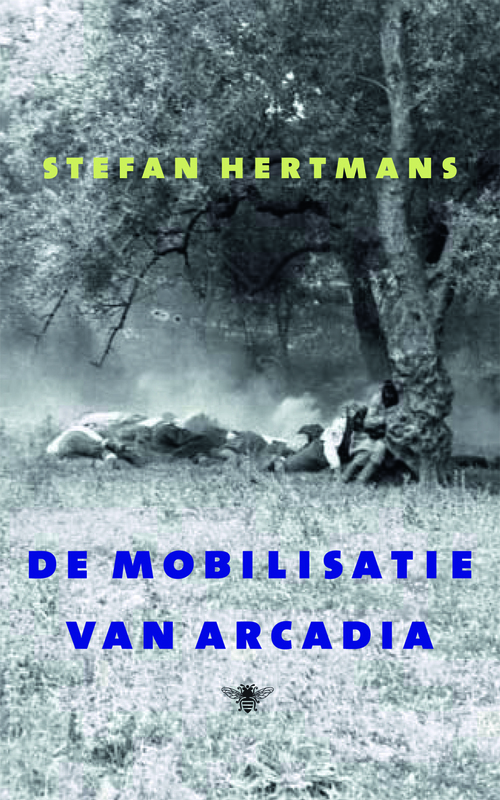 In EenVandaag vertelt Stefan Hertmans over het leven en het lijden van de frontsoldaten in de loopgraven van de Grote Oorlog. Hertmans schreef een prachtig relaas op basis van aantekeningen van zijn grootvader Urbain Martien, die vier jaar leefde en overleefde in de loopgraven aan de IJzer in Zuidwest-Vlaanderen. Dat alles valt te lezen in de bestseller ‘Oorlog en Terpentijn’, inmiddels bekroond en alom geprezen. Op zondag 2 februari was Stefan Hertmans te gast bij VPRO Buitenhof n.a.v. zijn roman Oorlog en terpentijn. 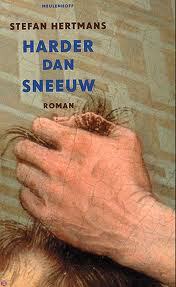 De roman werd vorige week genomineerd voor Libris Literatuurprijs 2014. Buitenhof werd zondag om 12.00 uur uitgezonden op Nederland 1. Stefan Hertmans te gast bij Wim Brands over Oorlog en terpentijn. ‘Een erudiete bundel… je zou er haast een hele kast romans voor weggeven’. (De Standaard, 5 nov. 2011). ‘Hertmans schrijft zo prikkelend dat ik meteen zijn mening wil weten over alles wat ik recentelijk heb gelezen’. (Elsbeth Etty, NRC Handelsblad). In 2010 verscheen De val van vrije dagen, gedichten (De Bezige Bij, Amsterdam). ‘Stefan Hertmans is in de loop der jaren uitgegroeid tot een van de grootste Vlaamse dichters, iemand die talige en semantische complexiteit weet te combineren met emotionele toegankelijkheid‘ (Rob Schouten in Vrij Nederland). ‘Voortreffelijke bundel‘ (Cobra.be) ‘De poëzie van Stefan Hertmans is van een betekenisrijkdom zonder weerga‘ (Patrick Peeters, de Leeswolf). ‘Fascinerende gedichten‘ (Paul Demets in De Morgen). ‘Als een troubadour probeert Hertmans de schijnzekerheden van onze snelle, moderne tijd te deconstrueren (…) Wat overblijft is heel pure poëzie‘ (Metro). Te koop in de betere boekhandel. Voor een preview zie: teksten/poëzie op deze site. _______________________________________________________________ Het verborgen weefsel, roman, De Bezige Bij 2008. De ze stilistisch zorgvuldig geslepen kleine roman biedt het verslag van de innerlijke strijd van een veertigjarige vrouw. Wat vraagt haar schrijverschap, waarmee ze overhoop ligt, van haar? En waar is haar verloren zuster gebleven? De kloof tussen haar gedachten en het leven met haar man en dochtertje lijkt nauwelijks meer te overbruggen. Een reis naar het buitenland en buitenechtelijke relaties brengen haar uit haar evenwicht. De roman begint als haar dagboek, maar gaat geleidelijk over in het verhaal van een onmogelijke, verzengende passie. De vrijheid van de hedendaagse vrouw brengt meteen ook de doem van de dilemma’s met zich: wat doet een geëmancipeerde vrouw met haar leven, haar relaties, haar tegenstrijdige verlangens naar autonomie en geborgenheid? Met subtiele toetsen wordt een intrigerend portret geschetst van een vrouw die leeft met alle verworvenheden van de emancipatie. Haar melancholie en haar creatieve vertwijfeling leiden naar een onverwachte ontknoping. Misschien is de Jelina uit deze roman wel een hedendaagse verwante van Madame Bovary? 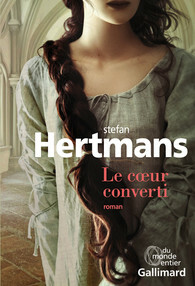 _________________________________________________________________ In de Belgica-reeks van Uitgeverij Voetnoot publiceerde Stefan Hertmans een spannende novelle: Je Portret. Je portret is een sensueel maar evenzeer ontluisterend verhaal dat de lezer tot de dramatische ontknoping toe in de ban slaat. Met zijn spiegelmotieven baadt het in een licht decadente fin-de-siècle-atmosfeer die de schilderijen van Fernand Khnopff voor de geest roept (ako.nl) “Dit prachtige kleinood is bovendien een pareltje in taal en souplesse. Het houdt de lezer tot het laatste woord in de ban, letterlijk. 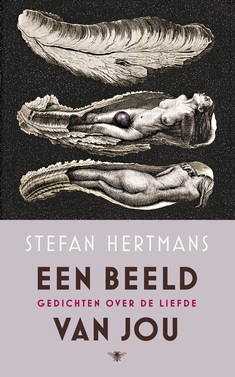 Met het leuke nawoord van Dirk Leyman, dat (…) het hele oeuvre van Hertmans overspant via een geestig abecedarium, krijgt de uitgave bovendien extra waarde” (enola.be) _______________________________________________________________ Steden (1998) werd genomineerd voor de toenmalige Generale Bankprijs, nu in pocket herdruk bij De Bezige Bij. 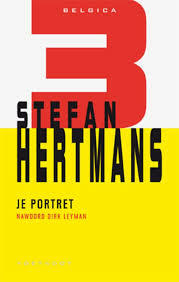 In dit boek loopt Stefan Hertmans door verschillende steden als Triëst, Sydney, Dresden, Bratislava en Marseille; hij denkt in Salzburg aan Sarajevo en in Brussel aan Amsterdam. 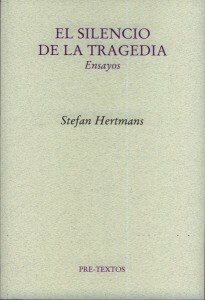 Het zwijgen van de tragedie biedt een verzameling essays, waarin de vraag naar het tragische denken in de Westerse literatuur voorop staat. Vanaf de romantiek wordt het ‘tragische’, net zoals het ‘sublieme’, vaak aangeduid als iets wat onzegbaar is. Wat betekent dit fameuze ‘onzegbare’ voor de moderne literatuur? Hoe heeft het schrijvers als Samuel Beckett, Heiner Müller, Lenz, Von Hoffmannsthal of Paul Celan beïnvloed? Wat betekent de erfenis van de tragedie nog vandaag de dag? 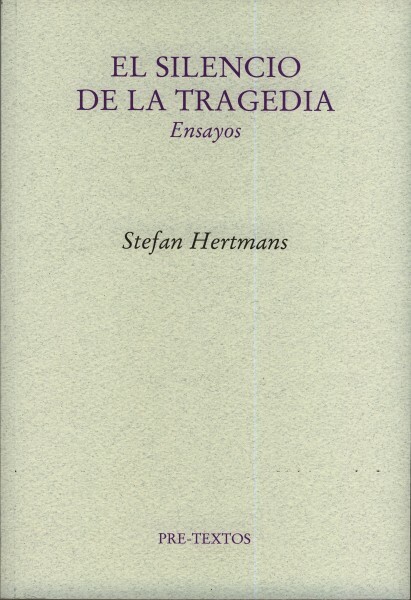 Volgens een cultuurpessimist als George Steiner is de tragedie onmogelijk in de moderne tijd. Maar misschien ‘zwijgt’ de tragedie alleen maar, omdat de kern van het tragische moeilijk onder woorden te brengen valt. Zo duikt het op in de woordeloze wreedheid van Medea – die van de auteur in een uitgebreid essay moreel zelfs gelijk krijgt – of in het koppige nee van Antigone, een figuur waarover Hertmans tachtig bladzijden lang in een dagboekachtige tekst nadenkt. Medea staat voor de wraak van het verdwijnende matriarchaat tegen een nieuwe ‘fallische’ orde die gestalte krijgt in haar overspelige man Jason, en Antigone met haar koppige weigering om haar broer onbegraven te laten liggen, voor de ambiguïteit van de rechtspraak. Een derde figuur, Empedokles, staat voor de impact van de politieke visionair in het antieke denken. Antigone en Empedokles zijn ook figuren die Hölderlin diepgaand hebben bezig gehouden, en waaraan hij zijn revolutionaire lezing van de tragedie heeft opgehangen. Hölderlins denken vormt dan ook één van de vele rode draden in deze studie. Tenslotte wordt de vraag gesteld of onze alomtegenwoordige ironie een adequaat antwoord vormt op het tragische levensgevoel. De teksten in dit boek vormen de achtergrond voor Hertmans’ eigen theatertrilogie, bestaande uit Kopnaad (1991), Mind the Gap (2004) en De dood van Empedokles (ongepubliceerd).